Well, that seems to have done the trick. 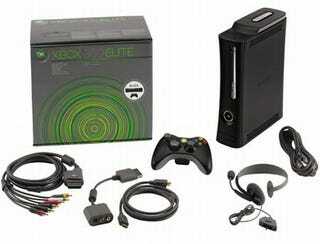 Following last week's Xbox 360 price cut in the US, the console has seen a big spike in sales. Some retailers are reportedly showing 100% increases in sales of all Xbox models with up to six times more sales between Friday September 5th - Sunday 7th compared to the previous weekend. Granted, these are Microsoft's figures, so they may have been given a bit of a spit and polish — still, Sony & Nintendo must be eying the holiday end of the calendar and doing a bit of chin stroking right about now. Full text of corporate gloating after the jump...Subject: Media Alert: Xbox 360 console sales surge post-price drop Coming off the heels of the console price drop last week, Microsoft Xbox 360 sales have surged, with retailers reporting over 100% sales lift for all Xbox 360 models compared to the previous weekend. Additionally, retailers are reporting that between Friday, Sept. 5 and Sunday, Sept. 7, some Xbox 360 models were selling at six times the rate they were the weekend prior. At $199, Xbox 360 is now not only the most affordable next-generation console available, but it also packs more entertainment punch per dollar than any other consumer electronics device connected to your TV. Xbox 360 invites you into a limitless world where the best games, movies and TV shows live side by side with your personal pictures and music library, and the experience is ready to share anytime with friends in your living room or across the globe through Xbox LIVE.